Since Henry Ford started his car company in Detroit way back in 1903, the cars they made were considered to be among the most dependable on the road. That’s still true today, but even the finest automobiles will eventually require auto repair. And when your Ford needs attention, the expert auto mechanics at JW Auto Care are the ones to turn to in the Scottsdale and Tempe area. JW Auto Care is A+ rated with the Better Business Bureau and is affiliated with the ACDelco Professional Service Center, Bosch Service Center, and NAPA AutoCare Center. 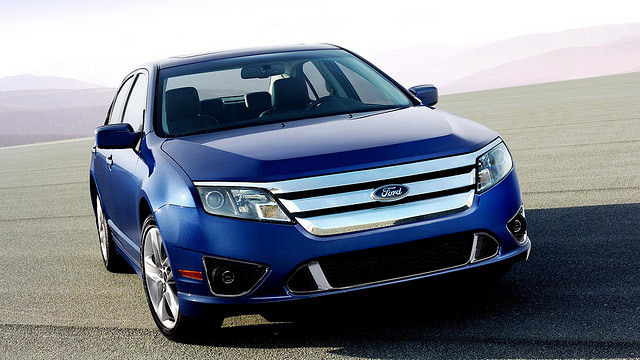 That means your Ford’s repair will be covered by an iron-clad three year/36,000-mile nationwide warranty. Whether you’re just driving around Scottsdale and Tempe or taking a cross-country road trip, you’ll have the confidence of knowing that in the unlikely event your auto repair fails, you’re covered. “This place is one of a kind! Up front from the first phone call, they were professional and caring. They didn't push me into buying unnecessary things. Their prices are amazing and the customer service is beyond what I was expecting. A girl like me was intimidated because I know nothing about cars. But they cared and explained a lot to me about my car! And I love the rose that was left in my car! Thank you, gentlemen! I'm definitely recommending this place to everyone!” --Brittany W.
So when your Ford is in need of the best in auto repair, call us or schedule an appointment online. JW Auto Care is located at 3011 N. 73rd Street, Scottsdale, AZ 85251. Scottsdale and Tempe Ford owners have come to trust the mechanics of JW Auto Care with all their auto repair needs.